Put yourself in the place of a Muslim kid attending high school in Maine...it’s easy to feel you don’t quite fit into the dizzying array of sports teams, clubs and social cliques that define adolescence in this country – often at the expense of those who are different. Enter the Portland Champions – Maine’s team in this summer’s national Muslim Interscholastic Tournament. 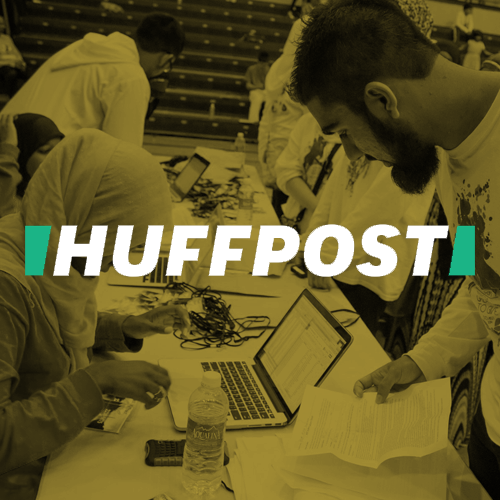 It’s the peak event for the local arm of the Muslim Interscholastic Tournament, an international group that works to unite youths...and to the participants descending from schools from across the region, matching wits and squaring off in academic contests is a chance to flex their brainpower and show what’s possible for dedicated young minds. Organizers of the Muslim Interscholastic Tournament (MIST) picked the topic of self-improvement after surveys last year showed many of the largely traditional teens carrying guilt, worried about sinning and making mistakes. The thousands of teens compete in everything from improv comedy to photography to spoken word. In recent years, the organization added a Social Media Competition that includes everything from web development to blog writing. Other relevant competitions include: Short Film, Graphic Design, Extemporaneous Speaking, Business Venture. Just this year, one of the students I met at MIST Boston years ago signed on to join HubSpot full-time after graduating college in May. Please use "MIST" or "Muslim Interscholastic Tournament" when referring to our organization. All other spellings, use of capitalization, and punctuation are incorrect and are misrepresentative of our brand.